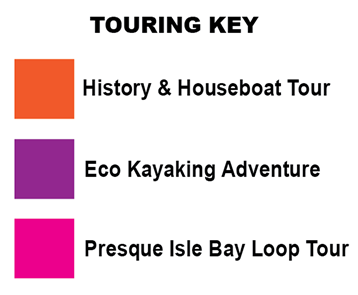 The above map of Presque Isle State Park shows the path of the following tours using the colored Touring Key at left. Experience something really special! Get away from it all and immerse yourself in nature. Learn about the local wildlife and ecology of the area. Perfect tour, if you want to witness the world undisturbed. Same as our Eco Kayaking Adventure, except on a paddle board! 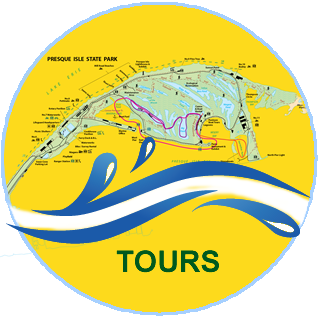 Enjoy the quiet of the Lagoons with an experienced guide to point out the flora and fauna. Learn about the cultural significance of this area in shaping America's northern boarder. 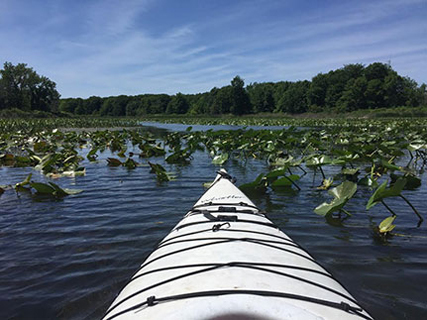 Paddle the same waters that harbored Commodore Oliver Hazard Perry and his brave men during the Battle of Lake Erie and the War of 1812. Get an up-close look at Presque Isle State Park's unique houseboats. 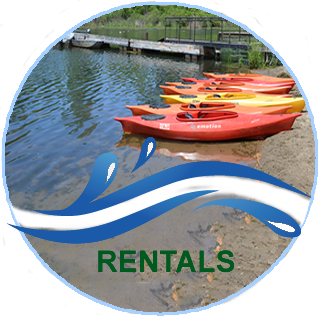 Have you been afraid to paddle beyond the Lagoons flat water? Here is your opportunity to take your skills to the next level. 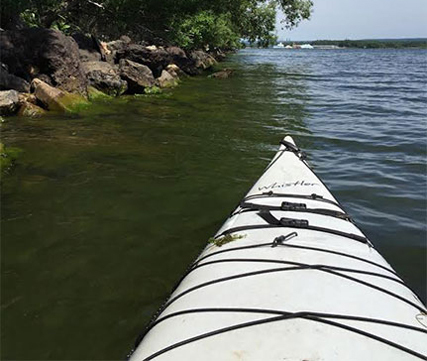 Experience Presque Isle Bay with a certified-Kayak guide.